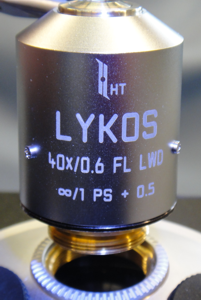 The LYKOS and ZILOS-tk feature a 300 mW laser and a pulse length as low as 1 microsecond, which is far lower than typical zona ablation procedures require. 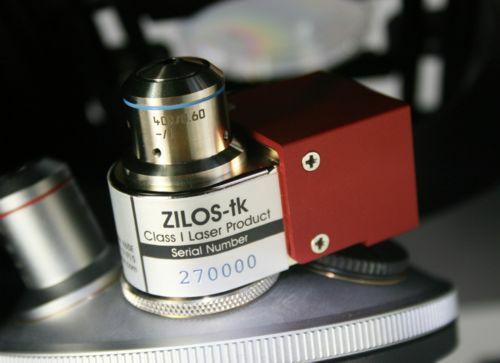 When working with micromanipulators, the ZILOS-tk and LYKOS allow you to work in “hands-free” mode by using the optional foot switch to fire the laser. Simply use the manipulators to position the embryo to the target and press the foot switch to fire the laser. Your micromanipulation proceeds rapidly and the time the embryo spends on the microscope stage is minimized. The HT lasers leave both the fluorescent light port and the filter cube port open for normal use (OOsight® compatible). Other laser systems use one of these ports to install their laser, which can interfere with full microscope functionality. The HT lasers are the only laser systems which don’t require removal of the laser to use fluorescence. The ZILOS-tk and LYKOS lasers are physically aligned under strictly controlled conditions at the factory and locked in place, so you do not have to perform tedious alignment procedures on-site. Simply position the computer generated target to the laser spot and you are ready to go! Simply attach the laser-objective to the microscope turret and you are ready to go! 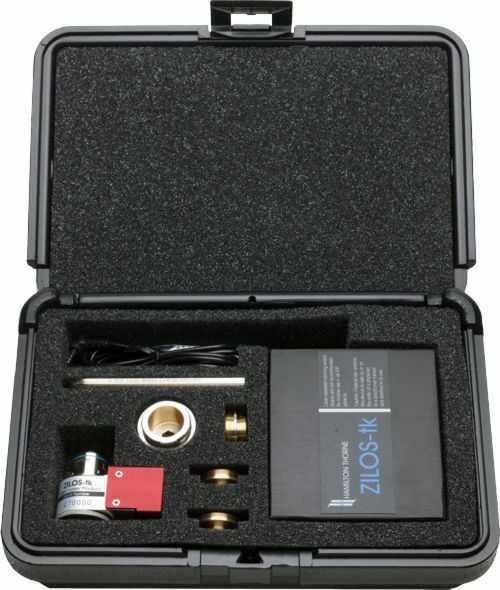 Each laser comes with a variety of turret adapters to allow instalation on all major models of inverted microscopes. Digital Color Camera – Seamless Video Transfer to Monitor! Based on your need for bench space and portability, the ZILOS-tk may be configured with either a desktop or laptop computer.